Heritage El Dorado Hills is a new 55+ community in Northern California by Lennar Homes. This active adult neighborhood boasts cutting edge home designs, combining the best of modern features with functional home styles. Active adults and retirees will also have access to incredible amenities that will keep residents busy socially and physically. Heritage El Dorado Hills is sure to be exciting for 55+ homebuyers near Sacramento, California. At the center of the community is a 5,000 square foot clubhouse. Staying fit will be convenient with an on-site fitness center and aerobics and dance studio. There are also be locker rooms for convenience after a workout. Homeowners can attend club gatherings in meeting rooms, join a game in the card room, or prepare food for events with a catering kitchen. Outdoors, there are two outdoor pools, a spa, patio, and BBQ area for enjoying the beautiful year-round Northern California climate. There are also tennis, bocce ball, and pickleball courts. Outdoor space is plentiful with walking and biking trails that wind through beautiful scenery. There is even a dog park for your furry friend. This 55+ community will contain approximately 1,000 homes upon completion. Lennar Homes will offer three home collections: the Mosaics, Legends, and Estates. The Mosaics Collection offers single-family homes that range in size from 1,230 to 1,784 square feet and has two bedrooms, two to three bathrooms, and an attached two-car garage. These homes provide energy-efficient lighting, automatic irrigation systems, nine-foot ceilings, and designer kitchens. The Legends Collection has four floor plans that range in size from 1,813 to 2,423 square feet and has two or three bedrooms, two or two-and-a-half bathrooms, and an attached two or two-and-a-half-car garage. These homes give homeowners state-of-the-art energy solar system, granite or quartz countertops, and European-style cabinetry. The Estates Collection contains the largest homes in Heritage El Dorado Hills. These options range in size from 2,405 to 2,993 square feet and offer two or three bedrooms, two-and-a-half or three-and-a-half bathrooms, and an attached three-car garage. Homeowners will love that this collection has stainless steel GE appliances, modern bathrooms, and large walk-in closets. The Reflections Collection comprise the newest homes in Heritage El Dorado Hills. Current plans call for 140 new homes that range in size from 1,137 to 1,650 square feet with two or three bedrooms, two bathrooms, and attached two-car garages. Living within this community will mean enjoying a luxurious low-maintenance lifestyle with like-minded neighbors. Homeowners regularly gather for games of bocce ball, cards, pickleball, or tennis. A BBQ area will also be available for a low-key afternoon with friends. As the community becomes more populated, there are sure to be more clubs and events for all to enjoy. Heritage El Dorado Hills is located in the city of El Dorado Hills, CA. 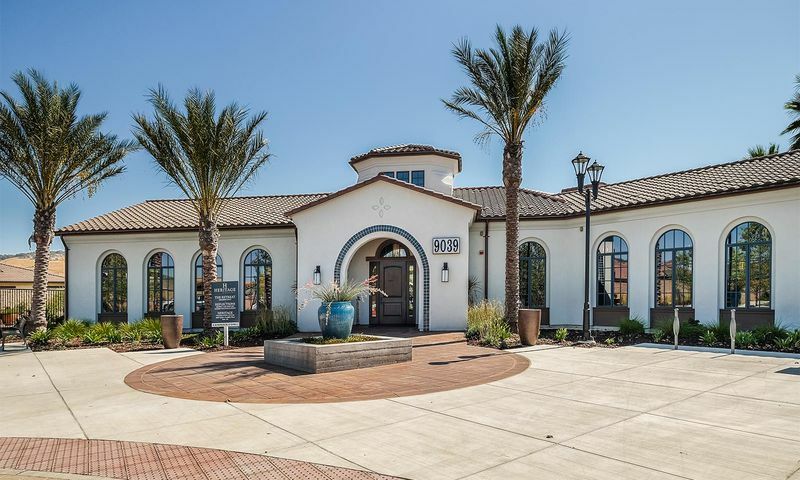 Homeowners will be just a couple of minutes from the El Dorado Hills Town Center, offering several restaurants, shops, a movie theater, Target, and doctors' offices. Route 50 is just outside of the community for getting around the area, while for farther travel the Sacramento International Airport is approximately 40 miles away. El Dorado Hills is also home to several golf courses, including the Timber Creek Golf Course in Roseville, consistently voted as the top course in the Sacramento area. Heritage El Dorado Hills is located 30 miles outside of Sacramento. The sixth largest city in California, Sacramento has the urban attractions to make it a sought-after retirement location. Sacramento also allows for year-round outdoor entertainment, enjoying a mild Mediterranean climate that is perfect for exploring the American River Bicycle Trail or William Land Park. Culture buffs will love that this world-class city has museums for art, history, and automobiles. Travel back in time by taking a stroll through Old Sacramento before having lunch in one of the city's award-winning restaurants. Heritage El Dorado Hills has the amenities, homes, and location to make it a highly desirable 55+ community in Northern California. There are plenty of activities available in Heritage El Dorado Hills. Here is a sample of some of the clubs, activities and classes offered here. The Mosaics Collection offers single-family homes that range in size from 1,230 to 1,784 square feet and has two bedrooms, two or two-and-a-half bathrooms, and an attached two-car garage. These options boast energy-efficient lighting, automatic irrigation systems, nine-foot ceilings, and designer kitchens. The Legends Collection offers homes that range in size from 1,813 to 2,423 square feet and has two or three bedrooms, two or two-and-a-half bathrooms, and an attached two or two-and-a-half-car garage. These homes give homeowners state-of-the-art energy solar system, granite or quartz countertops, and European-style cabinetry. The Estates Collection contains the largest homes in Heritage El Dorado Hills. These options range in size from 2,405 to 2,993 square feet and offers two or three bedrooms, two-and-a-half or three-and-a-half bathrooms, and an attached three-car garage. Homeowners will love that these homes will have stainless steel GE appliances, modern bathrooms, and large walk-in closets. 55places.com is not affiliated with the developer(s) or homeowners association of Heritage El Dorado Hills. The information you submit is distributed to a 55places.com Partner Agent, who is a licensed real estate agent. The information regarding Heritage El Dorado Hills has not been verified or approved by the developer or homeowners association. Please verify all information prior to purchasing. 55places.com is not responsible for any errors regarding the information displayed on this website.